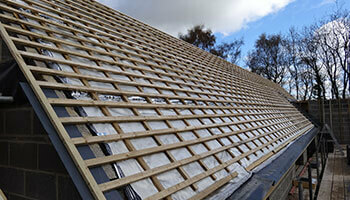 An important initial step to designing a natural slate roof is to determine the degree of exposure of your site location. 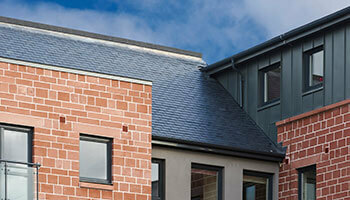 The degree of exposure of a building to driving rain determines the minimum head lap (or ‘lap’) which should be specified on a natural slate roof. The anticipated level of exposure is given in the exposure diagram below. Localised factors such as high buildings, buildings on the slopes or tops of hills and coastal sites, can increase the exposure grading which should be applied in a specific project – contact us for advice if you are in doubt. 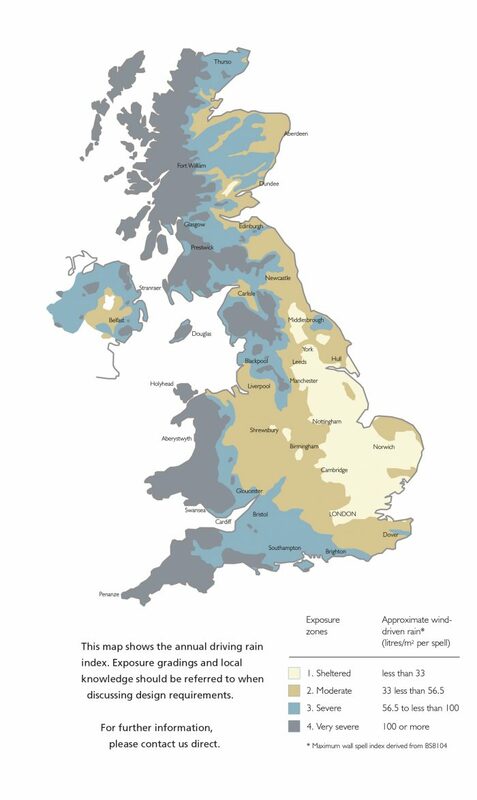 Once you’ve determined the exposure zone for your project, the minimum required headlap is calculated by taking account of wind uplift, exposure to driving rain and the roof pitch.